Brixval, C. S., Axelsen, S. F., Lauemoller, S. G., et al. (2015). The effect of antenatal education in small classes on obstetric and psycho-social outcomes – a systematic review. Syst Reviews; 4:20. Escott, D., Slade, P., Spiby, H. (2009). Preparation for pain management during childbirth: the psychological aspects of coping strategy development in antenatal education. Clin Psychol Rev. Nov;29(7):617-22. Lothian, J. (2007). Listening to Mothers II: Knowledge, Decision-Making, and Attendance at Childbirth Education Classes. J Perinat Educ. ; 16(4): 62–67. Morton and Hsu (2009). Contemporary Dilemmas in American Childbirth Education: Findings From a Comparative Ethnographic Study. J Perinat Educ. 2007 Fall; 16(4): 25–37. Uçar, T. and Golbasi, Z. (2018): Effect of an educational program based on cognitive behavioral techniques on fear of childbirth and the birth process, Journal of Psychosomatic Obstetrics & Gynecology. Published online: 27 Mar 2018. Hi, everyone! In today’s video, we’re going to talk about using childbirth education for pain relief during labor. 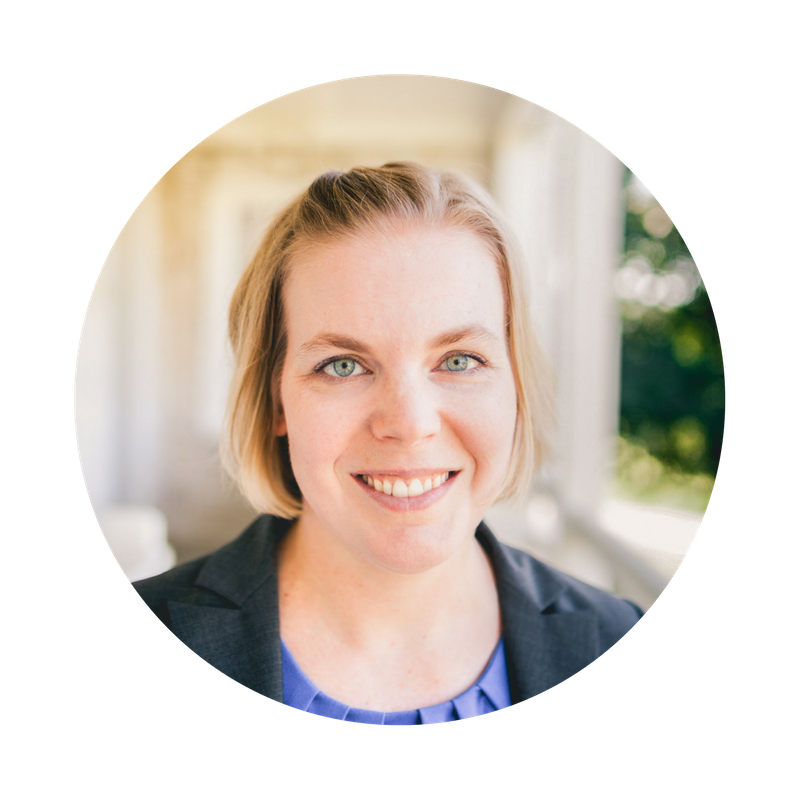 My name is Rebecca Dekker and I’m a nurse with my Ph.D. and the founder of Evidence Based Birth. 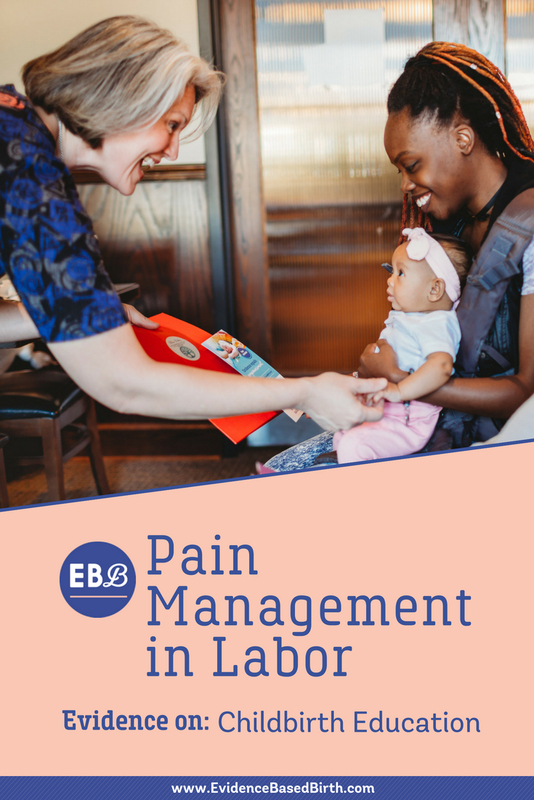 This video is part of our Pain Management Series where we’ve been focusing on different ways to help manage pain during labor. Today, we’re going to focus on using childbirth education for pain relief during labor. Childbirth education is often called antenatal education in other countries, and its overall goals are pretty broad. The goals of childbirth education can range from increasing your self-confidence, helping you prepare for birth, helping your partner learn how to support you during birth, and helping you prepare for parenting and breastfeeding. 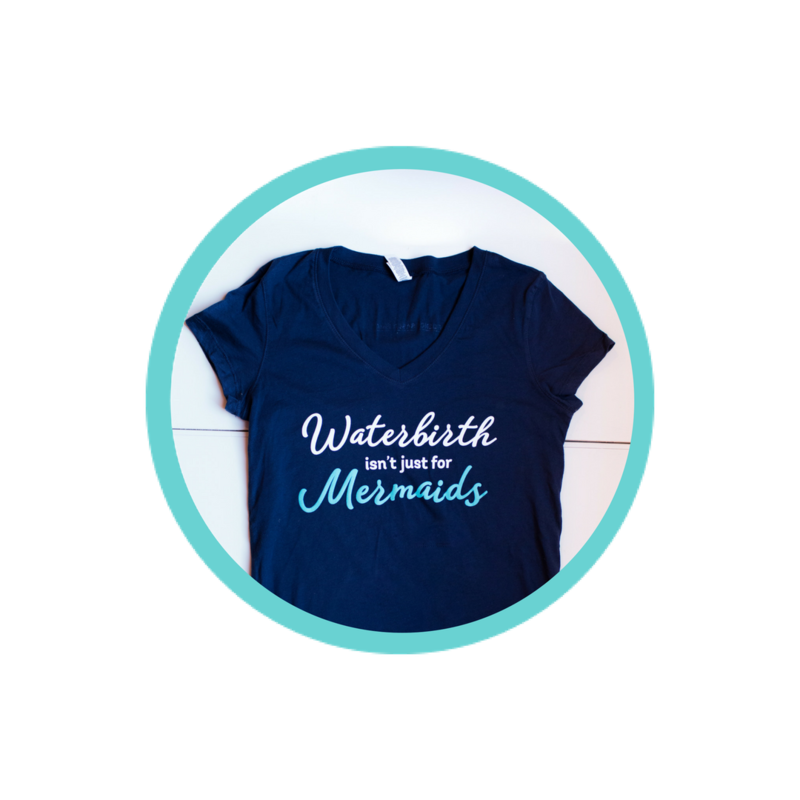 Another common goal of childbirth education is to help you form a social support network and to meet other parents in your community who are going through the same thing. We’re going to talk about using childbirth education for pain relief during labor. How might we use childbirth education for pain relief during labor? Researchers think that childbirth education might work by changing how you perceive pain during labor. In other words, decreasing the unpleasantness of pain. If you haven’t watched already, I recommend that you go back and watch our overview of pain management video, which is the first video in this series. In that video, we talk about several different mechanisms that can act on pain, so that your brain interprets it differently or is less able to interpret it as pain. The theory is that childbirth education acts on your central nervous system to relieve pain. We call this the Central Nervous System Control method of pain management, and basically what this means is that acquiring knowledge and skills before you give birth may activate thoughts and mental processes in your brain so that you perceive less pain or your pain feels less unpleasant during labor. How many people take childbirth education classes? The latest research we have on this in the United States comes from the Listening to Mothers study which was published in 2013. In that study, they found that roughly one in three mothers who gave birth in United States hospitals had taken some kind of childbirth preparation course. Around 59% of first-time mothers had taken a class before they gave birth to a baby that year, compared with 17% of experienced parents. One in two mothers took a class either with that pregnancy or with a previous pregnancy. This means that in the United States, only about half of parents ever take a childbirth education class before they have a baby. Of those that took a class, about half took a class that met every week for a period of several weeks. One quarter took a class in one day and one quarter took a class over two days. The major focus of most birth classes tends to be on the labor and birth process. Basically, the class just describes how the process works. What to expect when you go to the hospital is the focus of about 29% of classes, and this theme was most common in the one-day childbirth education classes. Care options and the benefits and harms of those different options was the theme in about 20% of classes. Most people in the United States take hospital based classes. Researchers have found that hospital-based classes tend to serve clients with a diverse array of goals and values and that some hospital classes condition you to accept the hospital routines. Some hospital childbirth educators also sometimes feel pressure to not teach the full range of options. Others say that that’s not a problem. On the other hand, about 18% of people take a childbirth class from an independent educator who is not affiliated with a hospital. Research shows that these classes tend to teach people to be critical consumers of their healthcare, and they also tend to focus on a normal birth philosophy – helping you prepare to have as normal a birth as possible. In an earlier Listening to Mothers survey that was published in 2007, researchers found that after a typical childbirth class, many parents had more trust in hospitals and less fear of medical interventions. They also had a greater trust in their caregivers. 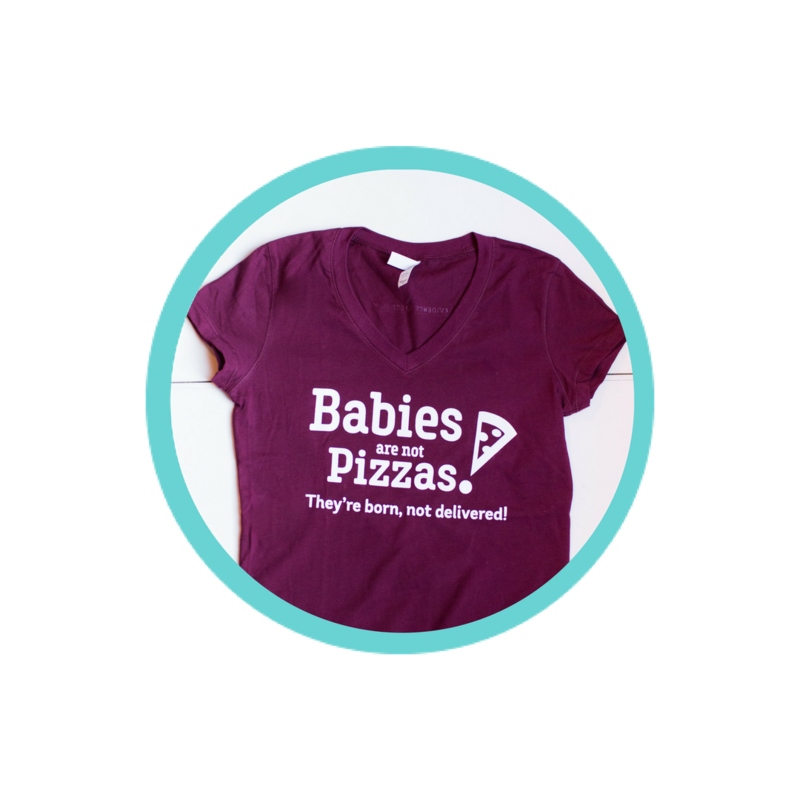 Almost all of the parents wanted to be informed about the major benefits and risks of different interventions, such as inductions or cesareans. But the majority of them could not answer questions correctly about these interventions even after they’d taken a typical childbirth class. A common philosophy today among childbirth educators is to say something like this: “I don’t believe in advocating for a certain way of giving birth. 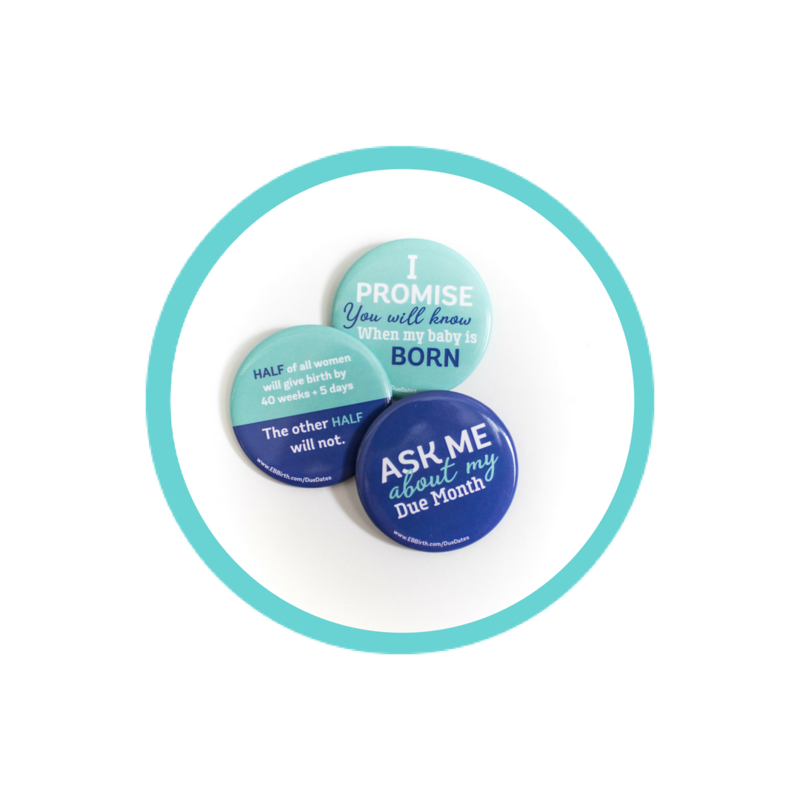 I simply believe in the parent’s right to make an informed choice.” This philosophy sounds really wonderful, and most childbirth educators that I know would say that they believe in that philosophy. The problem is, as Judith Lothian says in her really well-written article about childbirth education, is that in many hospital settings around the world, having a choice can be an illusion. This means that parents may educate themselves about their different options and their childbirth educator may encourage them to learn about these options – but if they’re entering a hospital system, where there’s a very heavy emphasis on following institutional routines and traditions, it might be very difficult, if not impossible for parents to access all of these options. What does the evidence say about childbirth education for pain relief during labor? The truth is, up until this point, we have not had a lot of research evidence to guide current and future childbirth education efforts. There are very few randomized, controlled trials on childbirth education. For one reason, is it’s very difficult to conduct randomized trials on this topic. A lot of people have strong feelings one way or another about whether or not they want to take a childbirth class, and so they might not agree to be in a study where they’re randomly assigned to either have childbirth education or nothing. Some people might feel that it’s unethical to assign people to no education. Also, every childbirth class is different. There are unlimited numbers of childbirth education programs out there, all with different strengths and weaknesses. So, one randomized trial about one educational intervention might be so different that you can’t compare it to the other classes that are being offered in your community. Also, childbirth education does not exist in a vacuum. What I mean by that is that like I said earlier, you can take a childbirth class and be educated about all your options, and be prepared to use them, but if you walk into a setting, or you have a provider who is not truly supportive of your choices, you might find yourself backed into a corner and not able to access those options that you educated yourself about. For example, the classic studies on Lamaze childbirth classes took place in the 1970s. Even though the women were educated that episiotomies are not necessary and may be harmful, nearly all of the women in those studies had episiotomies. That’s because of something that we call the ‘Provider Effect’. In other words, if you have a provider who is not supportive of your goals and wishes, and there’s a mismatch between what you want and your provider wants, the episiotomy could happen regardless of whether or not you wanted it or consented to it. But that is a totally different topic for a different video. If you want to learn more about that topic, I would recommend Googling the words ‘Obstetric Violence’. There was a Cochrane Review published in 2007 where researchers tried to combine several randomized, controlled trials. In that systematic review, they found a total of nine randomized trials with a little more than 2,000 participants total. In 2011, they posted that they had found 58 additional trials that were awaiting classification, meaning they haven’t gone through them yet to decide if they’re going to put them in the next review. But, so far they haven’t included any of those studies yet in an update. The few studies they were able to include in this 2007 review came from the United States, Canada, and Iran. Each study tested a completely different educational class. For example, in one study they focused on just providing a 30 minute class about the stages of labor. Another study focused on teaching fathers parenting techniques. The Cochrane researchers were not able to draw any conclusions from these studies, because the studies themselves were so different and they all looked at different health outcomes. There was, however, a randomized, controlled trial that came out in the year 2016 from Australia that seems to be really important. I want to spend the rest of my time talking about this study that took a unique approach to using childbirth education for pain relief during labor. In this study, two hospitals in Australia worked together to randomly assign 176 first-time mothers to either have a comprehensive two-day childbirth class based on the She Births techniques or standard care which consisted of the typical hospital childbirth class. The typical childbirth class at the hospital was mostly descriptive, focusing on stages of labor, and how to know when labor is beginning and when to go to the hospital. It also covered some parenting and post-partum issues. The control group in this hospital class was not instructed to practice any techniques at home, and when they surveyed them after the birth they found that none of them did practice any comfort measures (techniques for labor) at home. The intervention group got a two-day childbirth education course based on the She Births methods [per study researchers, this protocol is now called Birth Course], that included six different non-drug comfort measures for labor. These comfort measures included acupressure, visualization and relaxation, breathing, massage, yoga techniques, and helping your partner learn how to support you through labor. The classes for the intervention group took about 14 to 15 hours to complete total, and there could be anywhere from 2 to 12 couples in the class with an average of 8 couples per class. These couples were encouraged to practice the techniques they learned at home; on average, they found that they practiced 13 techniques per week, until the birth of their baby. The researchers’ primary goal was to look at the rate of epidural use in both groups. They found that only 24% of people who had the complete childbirth course had an epidural compared to 69% in the traditional, standard care group that got the typical childbirth class. The intervention group also had a significantly lower rate of Pitocin augmentation and cesareans. The intervention group also had a shorter second stage of labor on average, fewer cases of perineal trauma, and fewer cases of their newborn needing to be resuscitated. This research study is open access and I encourage you to read it because it’s really interesting. They go on to give some more information about what the intervention group found was most helpful. 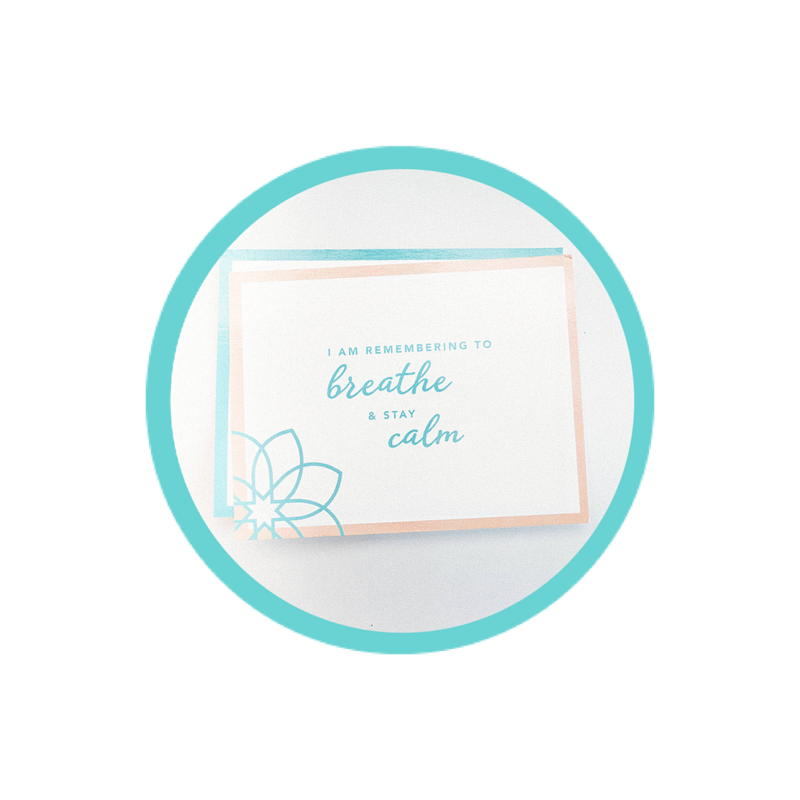 The people who had the more in-depth childbirth class that covered all of these comfort measures found something called the Blissful Belly Breath to be the most helpful during labor. 60% of people who had the more intensive childbirth class used this technique. Other techniques that a lot of them used included massage, acupressure, and visualization. Also, 35% of people in the She Births class used a technique called Gentle Birthing Breaths, that helped them slow down the birth of their baby. On average, the people that had the more intensive childbirth class reported using at least four techniques during labor. In contrast, less than 5% of anybody in the control group reported using any of the techniques that were taught in the more intensive class. So, this study shows that childbirth education that focuses on non-drug comfort measures – complementary and alternative therapies – such as acupressure, visualization, breathing, yoga, and massage results in less need for medical intervention during birth and better outcomes for newborns. In conclusion, systematic reviews have not been able to summarize the research evidence on this topic or provide strong evidence for childbirth education because every study that looks at childbirth education is so different that we can’t lump, or pool them together. Since high-quality evidence on childbirth education is lacking, effects of childbirth education are generally unknown. It’s not that childbirth education isn’t being studied, it’s that each research study is so different that we can’t combine them together to get a stronger result. It’s also difficult to study childbirth education because childbirth education does not exist in a vacuum. If you tried to replicate the She Births study from Australia, for example, in a hospital that is hostile, or unsupportive of women choosing non-drug comfort measures, it might be very difficult for parents to actually use the techniques that they were taught. I think the time has come for more childbirth education programs, and more childbirth educators to team up with researchers to get more research evidence on this topic so that we can figure out the best way to teach parents. What are the most effective ways? And how can we also change hospitals around the world to make them more accepting of parents who want to use non-drug methods of pain management? That’s it for this video about using childbirth education for pain relief during labor. I’d love to invite you to subscribe to our channel, and to also check out the rest of our videos on pain management during labor. We also have a series on natural induction methods. Thanks, everyone. I hope you enjoyed this video about childbirth education for pain relief during labor. Bye!